This book is an in-depth investigation of the natural environment that the Buddha lived in, as depicted in early Theravada Buddhist texts. In recent decades there has been a great deal of interest in the contribution religions can make to environmental awareness and the development of environmental ethics. Because of its teaching of a compassion that includes all sentient life, Buddhism in particular is well placed to make an important contribution to such discussions. The many works resulting from this have tended to focus mainly on human/animal interaction, animal and plant symbolism, and especially environmental ethics. In the present book the author examines the underpinning of all this. The first part examines how north Indian Buddhists tried to explain, define and classify their natural world; everything from its topographical features to metrological phenomena and of course its flora and fauna. The second and largest part lists alphabetically the Pali names of every animal and plant mentioned in early Theravada scriptures, some 580 altogether, describing each, together with its scientific name and uses. The last part lists the medicinal herbs mentioned in the scriptures together with their traditional application and modern usage. 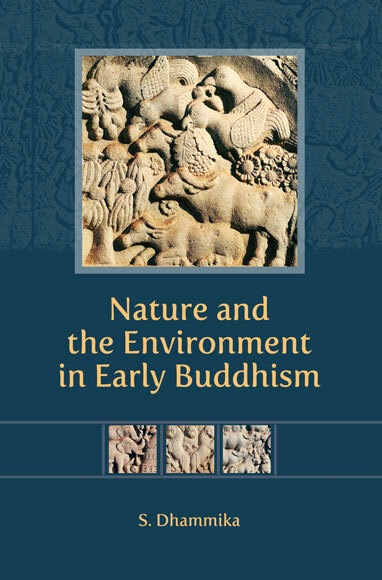 Comprehensive, detailed and well referenced, this book will be an essential companion for anyone interested in the early Buddhist understanding of the natural world. The author, an Australian Buddhist monk, has written many books and articles on various aspects of Buddhism including Middle Land Middle Way, Sacred Island, and The Edicts of King Asoka. "In 2000 I spent a week in the forest around Jamui in Bihar. Although badly degraded in parts and unsafe in others because of bandits, the forest and its wildlife are still relatively intact. This short sojourn offered a rare glimpse of India’s natural environment that would have been familiar to the Buddha but which has now almost completely disappeared. I saw nilghi, troops of languar, the quills of a porcupine, the glorious Butea superba in full bloom, a peacock and its mates and numerous other birds. At nearly every turn I was reminded of the Buddha’s descriptions of the forest and of some of the bucolic poetry in the Jātaka. It was during these few pleasant days that I conceived the idea of writing something about nature and the environment as depicted in the Pāḷi Tipiṭaka. "